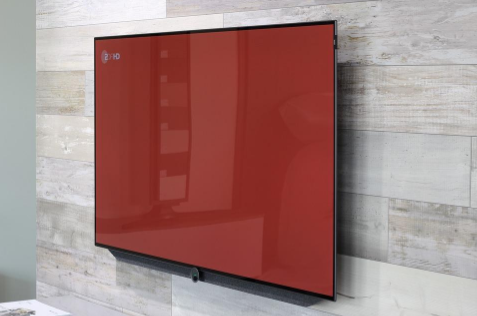 A wall-mount TV frees up a good amount of floor space, making it an ideal option when space is limited. The downside of this, however, is dismounting it. Depending on the size of the television unit, the process can be a one-man or two-man show. Stay on the safe side and have a friend help you dismount your TV. The process is not overly complicated. However, you need to be extra careful not to break the TV and damage the wall as you go along. Before you get started, there are three things that will make your work safer and less stressful. Disconnect any and all cables and cords. Make sure to unplug the power cable to avoid electrocution. Then, remove the cords carefully so you don’t unintentionally pull down the entire television. Make sure to remove any accessories, such as those that connect to movie players, video game consoles, etc. Move the cables out of the way so you don’t trip on them. A wall mount is made up of two parts—one that attaches to the wall and another that attaches to the back of the television. Locate the mechanism that connects the two and then find out whether it is attached using Phillips screws or Allen screws. If there are any, remove them. Refer to the owner’s manual to identify the kind of safety locks your TV has and how to remove them. Most wall-mount TVs don’t have locks. But those that do may require a special key to undo. Some, however, only use flip tabs, sliding bars, or strings. If your TV comes with strings, it is likely to feature a spring lock in the mount. You can disengage the lock by pulling on the strings. You will hear a click sound when the locks disengage. It is recommended that you have someone to help you with the strings. There will be two that you need to pull. When done incorrectly, the lock could keep engaging. Locate where the screws are, which is usually at the bottom of the mount. You will need a long screwdriver and a flashlight to unscrew from the bottom of the TV. The bar lock is accessible from the sides instead of at the bottom of the TV, similar to the screw and pull-string locks. The bar usually goes from left to right and only pulls out one way. So, try from left to right and see where the horizontal bar goes. In many cases, the locking bar is locked in place with a padlock. You need to open the padlock first before you can remove the horizontal locking bar. Not sure if your TV comes with a lock? Try to dismount it to see if it would budge. If it doesn’t, find out if you’re dealing with an easy or a bit-complicated unlocking process. Most wall-mount TVs can be dismounted by lifting and pushing from the bottom to the top. Make sure to grasp the TV by the sides and at the bottom. Try to edge it forward and slide it out of place. The TV is hooked to the top of the mount so there’s no worry that it will topple over on you. Just raise the TV over the mount to lift it off. Of course, if the TV is too big for you, get someone else’s help. There should be one person holding each end. Once unmounted, place the TV on a flat and secure surface. Make sure the front of the TV sits on a clean and soft sheet, it can be a bed sheet or tablecloth, to prevent scratching the screen. Unscrew the half of the mount. VESA-based television mounts consist of a plate attached by 4 or more screws. If attached by straps, simply remove the strap to undo the mounting piece. The tricky part in this process is unscrewing the wall’s mount piece without leaving a lot of scuff marks or damage. Make sure to use the right tool to remove the screws, whether they are Phillips screws or Allen screws. Unscrew carefully and in the right direction. Once the screws are removed, remove the mount piece off the wall. Follow the steps above and dismounting your TV should be safe and not too difficult. Don’t forget to clean up afterward, wrap your TV properly if you’re moving, and fill in the holes in the wall. If this process sounds overwhelming or you’re concerned something might go wrong, leave to the experts! Book a professional HelloTech TV Dismount service starting at only $79!